2018 Global Change Awards, sponsored by the philanthropic arm of Swedish fast-fashion empire H&M. People are coming to the realization that as noble as our individual efforts are to live sustainably and support slow fashion, the burden still falls on the big companies selling us our needs every day. Us going out of our way to go zero-waste and support slow fashion is but a ripple to the tidal wave that fast-fashion empires can affect if they only chose smarter ways to create their merchandise. Smart Stitch is a thread that dissolves at a high temperature, making zippers and buttons easier to remove. This simplifies the recycling process of clothes. 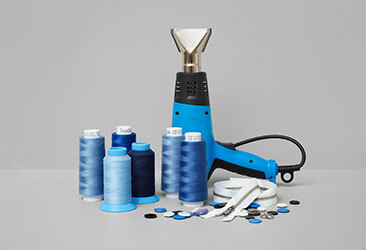 When used in seams, Smart Stitch also makes it easier to take apart whole pieces of fabric, making it easier to use them over and over. This cuts on the need to produce fabric from scratch. This little invention takes crop waste like oil-seed flax, sugarcanes, bananas, and pineapples and turns them into biofiber. This eliminates the burning process that the crop wastes usually undergo, reducing the production of carbon dioxide and methane gas. This also gives additional income to the farmers. 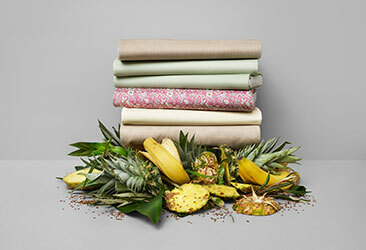 Not to mention, the fabric made from biofiber is biodegradable. Algae Apparel offers a solution to the problematic water use and pollution in the production of natural fibers and dyeing of textiles. This innovation turns the renewable and biodegradable resource that is algae into biofiber and environmentally friendly dye. As a bonus, these fabrics made from algae release anti-oxidants, vitamins, and other nutrients that are good for your skin. 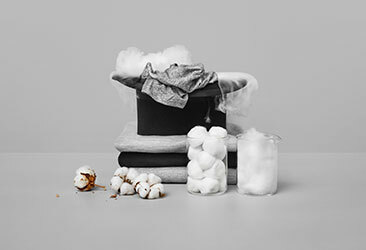 The Regenerator aims to make recycling clothes easier by using an earth-friendly chemical that gently separates cotton and polyester blends. 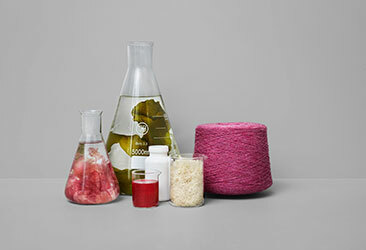 The separated material can then be used to make new fabrics, reducing the need to grow more fibers. 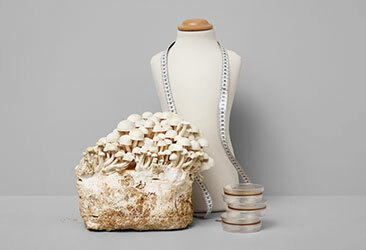 Fungi Fashion combines 3D printing and biofiber made out of mycelium or mushroom roots to create customized clothes that don’t need to be cut or sewn. Once the garment’s worn out, you can just let it decompose in your backyard. Which innovation impressed you the most? You can vote for them on Global Change Award’s website.